Planning a proposal for bae? How about doing it up in the air, amidst the dusky skies, surrounded by majestic hill ranges? The Hot Air Balloon Safari in Lonavala is the answer to all your questions. Organised by Adventure Nation, the Hot Air Balloon Safari in Lonavala is an experience of a lifetime. The flight is generally organised either two hours before dawn or two hours before dusk. However, the time of flight varies throughout the year, depending on season and weather conditions. 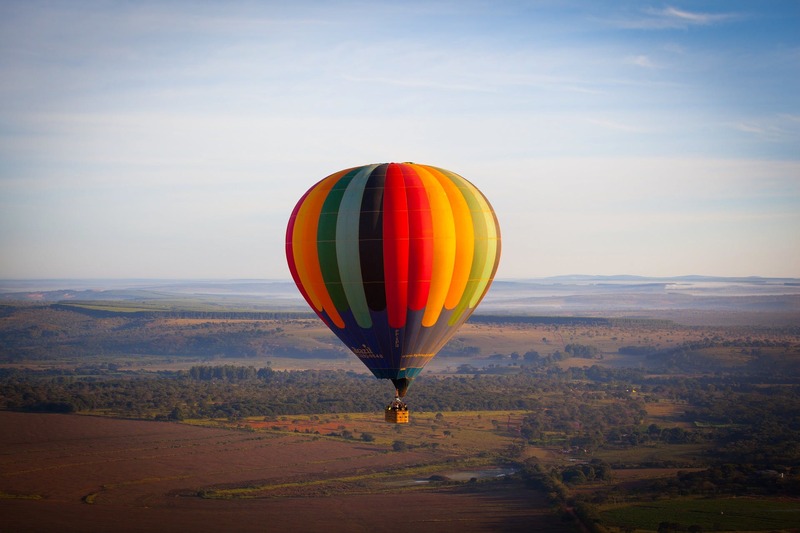 The flight duration is for about 60 minutes albeit the overall experience takes around three hours, that includes witnessing the sight of the balloons being inflated and prepared for flight and digging in to some mouthwatering food and beverages served at the launch site. You also get a Certificate of Flight signed by your Pilot at the end of the tour. All flights are insured as per international aviation standards and you will be accompanied by certified pilots. In case of bad weather forecast, the crew will inform you well in advance and the activity can be rescheduled accordingly. Coming back to the experience and the scenic views. The sight of lush green forest with waterfalls and lakes, surrounded by the magnificent Sahyadri ranges, is simply breathtaking from a height of 1,200 feet. Adding to that is the vermilion sky, tufts of cottony clouds and the serenity in the air…You cannot NOT fall in love all over again! The best time to take flight is between October to April because you'd rather go when the skies are clear and the weather is pleasant, right?